Singh has been passionate about mentoring and helping build consumer brands in India and has been involved as an investor with brands like Paper Boat, ID Fresh, Epigamia, Yogabar, Licious, Mama Earth, Vahdam Teas, Boat lifestyle, Bombay Shaving Co, Design Cafe etc. Kanwal has been investing in the early stage ecosystem in India for the past 18 years, first as a Director of Carlyle Group, India, and later as a Co-founder and a senior Managing Director of Helion Venture Partners. Prior to his investing career, he spent over 13 years in consumer marketing with Hindustan Unilever and Intel India. He has over 31 years of experience in venture investing, marketing, sales and business development across diverse sectors. 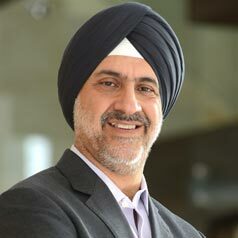 Singh holds an MBA in Marketing and Finance from the Faculty of Management Studies, New Delhi; and an Electrical Engineering degree from Punjab University.